I got sick of the snacks available near me in bulk within the first year of going zero waste, I think. Garlic and herb cashews? Good in theory, but I'll be happy if I never have to eat another. Wasabi peas? Overdosed on 'em way back in college. Sesame sticks? Never liked them. Trail mix? Ditto the cashews, eaten so often it completely lost its charm. Dried papaya? Delicious, but leaves my mouth reeling from the sugary after-taste. I think all of us who try to focus on buying food without packaging encounter some form of this: eventually, the options can get kind of... boring. For you, maybe the issue is the grains you can find in bulk, and the thought of eating quinoa for another meal makes you want to scream a little. Maybe you're tired of drinking the same old black tea that your co-op stocks on its small wall of tea. Maybe you've eluded this completely and are perfectly happy with the options available, or maybe you have a magical bulk aisle near you that always seems to spring fresh offerings anew. Either way: for me, the area where I can't find bulk things I like anymore seems to be the snack aisle. The upshot of this is, when I'm hungry, I'll look in my pantry and see grains and beans and nuts, then look in my fridge and see leeks and carrots and kale. There's plenty of food, but there's rarely anything snack-like. I could make a pot of stovetop popcorn, eat a square or two of dark chocolate, munch an apple, eat yesterday's leftovers: the latter is usually my choice. But I miss the saltiness, the sheer fun-ness of foods meant especially as snacks. Let's just say if I could buy pretzels and hummus near me in bulk, I might be hard-pressed to ever eat anything else. Unwilling to just spoon plain cooked beans into my mouth any longer, the last few weeks I've been taking snacking matters into my own hands. Sure, I don't like the bulk snacks available to me, but there are plenty of bulk snack ingredients available to me. I'm trying to make a few different things each week to keep on hand to fill the gaps between lunch and dinner. I've been favoring a mix of salty and slightly sweet, and switching up the recipes helps keep me from feeling like I'm sliding back into the boring routine of same-old, same-old. -Curry-spiced cashews (salty, and a good way to use up extra curry paste), pictured above. -Breakfast cookies from this favorite cookbook (sweet). -Chia pudding made with homemade almond milk (sweet). -Homemade hummus to eat with raw or blanched veggies (salty). I'd love a few other ideas to add to my rotation too. Have you been making anything these days? Another winter, another zero waste lotion update. Last winter's lotion of choice was this DIY version. I still like and use that same recipe for homemade lotion, but it really feels like more of a balm or body butter - it's thick and gloopy and take a minute to absorb. At the start of this winter, I went on the hunt for a more, well, lotion-y zero waste body lotion, and since my new routine has been working well for a few months now, I thought I'd share it with you. Since I'm lucky enough to have a few stores near me where I can buy bulk body lotion, the answer was fairly simple. 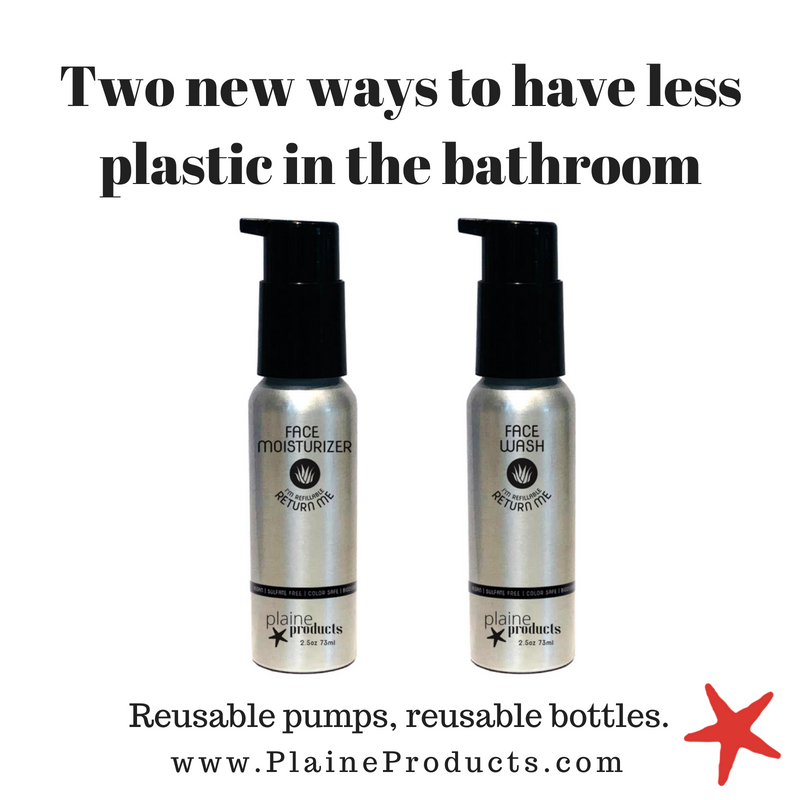 I brought a clean glass Mason jar to one, read the ingredients labels on the bulk dispensers and chose a lotion, then at home I replaced the lid of the jar with a stainless steel Mason jar pump that a friend had given me for my birthday one year. (You could also just wash out an old plastic lotion or shampoo bottle and use that, of course!). So that's it, a very normal lotion situation that's been zero-wasted a bit. -Lotion in a returnable bottle. Plaine Products makes a body lotion that they'll mail to you in their refillable stainless steel bottles. Once you're done with the lotion, you can mail the bottle back to them for free to be sterilized and reused. (PS. You can use the code LITTERLESS for 10% off your purchase). -Bulk lotion purchased online. If you have a family and think you'll be able to use this quantity up in a year or so, you could always purchase a bulk lotion dispenser for yourself, like this or this. Since this is how bulk lotion is sold in most stores, you'll be cutting down on waste to the same degree that you would be if you filled your own jar up at a retail store, like I did. Keep the large dispenser out of the way in a closet or under the sink, and fill smaller bottles with it to keep around the house. Alternatively, you could gather up a few zero waste friends and ask if they'd like to split this, too. -Lotion bar, DIY or not. I haven't used lotion bars, but I know folks who do. You could pick one up package-free at a store like Lush, or find a recipe online and make your own. (If you have a favorite bar or recipe, I'd love to hear). What's your routine like right now? Any other suggestions for folks without bulk options available? Previously in Bath & Beauty: Soap ends and menstrual cups. The first place to look for zero waste chocolate locally is probably your nearest bulk aisle. In mine, you can find semi-sweet chocolate chips, dark chocolate almonds, dark chocolate-covered coconut chews (HEAVEN), peanut butter cups, and lots more. Bring a jar or bag and fill up on a few to see what you like best. (Um, it's all in the name of sustainability research, guys). Now, I'm an occasional purchaser of dark chocolate almonds and an even more occasional purchaser of dark chocolate-covered coconut chews (because I have proven I can't be trusted around them). But what I prefer to keep around the house are plain, normal, slightly boring bars of super dark chocolate. And those don't come in bulk, sans packaging. Luckily for me, I recently did some extensive research on chocolate packaging to finally settle which non-bulk chocolates might be the best zero waste option. Upshot: I've identified a few types of packaging to look for and a few to avoid, plus now I have tons of chocolate on hand for snacking. FUN. Recyclable wrappers. Paper or foil-packaged bars can have their wrappers recycled. The brands pictured directly above - from left to right, Lindt, Ghiradelli, Green & Black's, and Chocolove - all come wrapped in a paper outer layer and a foil inner layer. Both layers can be recycled, but take care not to tear the foil too much, as small pieces that come loose from the main portion aren't likely to actually get recycled once they make it to the recycling facility. Bonus: the gold foil layer lends the bar quite the "Golden Ticket" look. Compostable wrappers. Barring bulk chocolate, another might be to look for a bar in a compostable wrapper, typically a bar that's wrapped solely in paper. This matcha crisp bar in a compostable wrapper looks delicious. Fancy individual chocolates. Sometimes I like to visit the fancy chocolate shop in my neighborhood, where I pick out a few dark chocolate truffle-y turtle-y things and ask for them either on a plate or in my own container. A package-free, yet expensive and slightly inconvenient option, one I don't turn to as often as I probably should. Make your own. Take those semi-sweet chocolate chips from the bulk aisle, melt them slowly in a double boiler, throw in peanut butter or dried fruit or nuts, and enjoy a package-free treat that's less sad-feeling than snacking on the original chocolate chips. Foil-backed paper wrappers. I've loved supporting Endangered Species chocolate - it's based in my hometown of Indianapolis and gives a percentage of its profits to, well, endangered species work. Also, their bars with dried fruit are delicious. But, after a closer inspection, I don't think the packaging is actually recyclable. The inner paper liner is backed with foil (see the picture to the left, above). At least in the recycling system where I live, mixed materials like this (metal + paper) can't be separated by the machines and therefore get trashed - for example, coffee cups, which are paper lined with plastic, aren't recyclable. Then again, is this just metallicized paper that IS recyclable? I'm not sure, and the Internet couldn't tell me. If you know the answer, I'd love to hear. Plastic wrappers. Sometimes, plastic wrappers are obvious: Hershey's, Snickers, and Butterfingers all wear their plastic wrappers proudly on the outsides of their packaging. Sometimes, though, plastic is lurking beneath innocent-looking paper wrappers, as is the case with the bar of Equal Exchange in the photo at right. The paper on the outside is recyclable, but the plastic liner inside isn't. A hard thing about this calculation is that sometimes, to give up a bad thing (Equal Exchange plastic wrappers), you also give up a good (fair trade). Is a foil-wrapped bar made by Lindt, surely not with fair trade chocolate, really any better than a fair trade plastic-wrapped bar by Equal Exchange? As with everything, zero waste is not the only thing at stake here. So I say: do a little research. Pick the chocolate that tastes the best in the packaging you can live with and the ethical code you stand behind. I'll probably be avoiding Equal Exchange - I just can't countenance the plastic - but continuing to eat Endangered Species chocolate and hoping for the best when I stick that foil-backed paper in the recycling bin. Zero waste chocolate: what's your strategy? 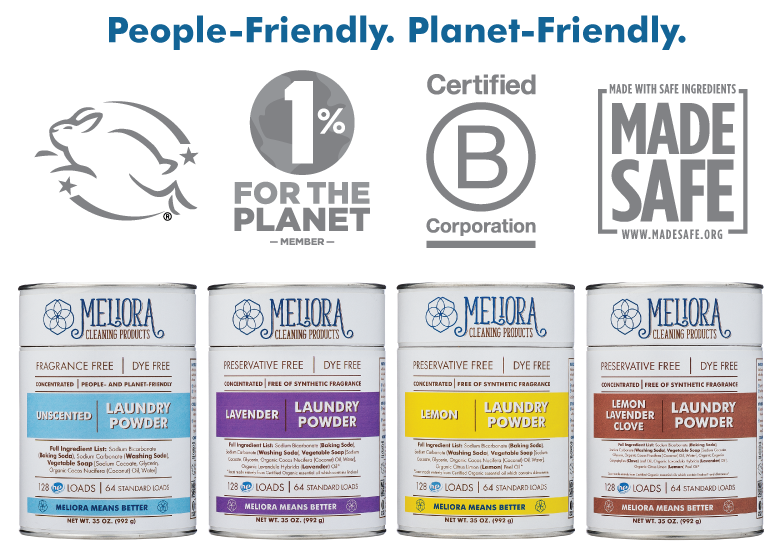 Favorite brands that hit the ethical / zero waste sweet spot? Previously in Food & Drink: A food waste tip, and a zero waste tip. This post is sponsored by Arbor Teas, makers of sustainable, organic teas in compostable packaging. I am that rare thing: a non-coffee-drinking adult. Tea, however, is a constant in my days. As usual, I have a cup beside me now as I work, and a jar of sun tea brewing in the windowsill at home, an easy way to celebrate summer (happy June!). This one's self-explanatory, I think: any time you're able to buy something in your own containers sans packaging, zero waste asks that you seize that opportunity. If you're not familiar with bulk shopping, here's a quick rundown - and, if you're looking for where in your city might offer bulk tea, you can check for it here. My cabinet is always full of (one could say, cluttered with) bulk teas decanted into various jars. I like to keep lots of different types on hand, because part of the ritual that makes drinking tea such a treat is, I think, choosing exactly the variety that suits your current mood. I mostly drink herbal teas, but the herbal varieties sold in bulk at my go-to groceries are fairly tame - I love a good, plain chamomile, but not every day - so I often bring back bulk teas as a travel souvenir, too. Being an herbal tea devotee has this benefit, too: often when I want tea I'll just pluck a few sprigs of mint from my beloved mint plant, pictured here. Obviously, this option is not so feasible for those who prefer caffeinated teas - green, black, or white - or other, specific types of tea, like rooibos. But, there are plenty of herbal tisanes that you can grow and blend yourself, or pick up as fresh bundles of herbs from the farmers' market in the summer. Try herbs like mint, chamomile, lavender, lemon balm, rosehip, lemongrass, sage, or mix a few of these together into your ideal concoction. These work either fresh or dried, chopped or left on the stem. If you don't have bulk tea near you, Arbor Teas offers the best alternative that I know of. Trying to find fully recyclable, compostable packaged tea on grocery store shelves has been, for me, a losing proposition. Each brand of loose-leaf packaged tea that I've tested has had some form of non-recyclable plastic packaging; regardless of the beguiling cardboard or stainless steel canister it comes in, there's always a plastic sleeve inside to hold the tea. And, individually wrapped teabags are culprits too: the single-serve packages are typically plastic or plastic lined (even Traditional Medicinals, which appears to be just paper, has a thin film of plastic on the inside), and sometimes the actual tea bags aren't compostable either, especially the "silk" plastic mesh kind. Arbor Teas, on the other hand, offers loose leaf teas whose packaging is entirely compostable in your backyard composter - no industrial composting needed. Their thoughtful packaging is as thin as they could make it (lighter weight means a lower transportation footprint, fewer resources needed in manufacturing, and quicker composting), and the paper labels are fully compostable, too. When the box appears at your door, you can recycle the cardboard and the invoice, decant the tea into your own container to keep it fresh for longer, and then pop the bag straight into your compost. Done. As close to zero waste as packaging can get, pretty much, and a great option for you tea lovers whose nearby bulk selection isn't cutting it. Their tea comes in sample, regular, and bulk sizes, pictured above, so once you find a blend you love, you can size up to the bulk package to reduce the amount of packaging per serving. I tried their chamomile mint, masala chai rooibos, and ginger chili tisane - all fun twists on classic flavors, and all organic and often fair trade. You can read more about their sustainability creds - carbon offsets for their whole supply chain, solar powered offices, and industrial composting of any organic waste that's generated before it hits your door - here, and more about their compostable packaging here. If you'd like, you can visit their online store right here. And, New Yorkers, you can currently purchase Arbor Teas at the Package Free Shop pop-up in Williamsburg! Hop to. Any fellow tea devotees out there: how do you approach buying and brewing tea in a zero waste way? Do you have any other suggestions? I'd love to hear. PS. More low-not-zero waste options for those without great bulk offerings near you can be found here, and even more coming at you later this week. This post is in partnership with Arbor Teas. All opinions are my own; thank you for reading and for supporting Litterless.